This property sold for $10,000 3 months ago. PRICE REDUCTION!!! 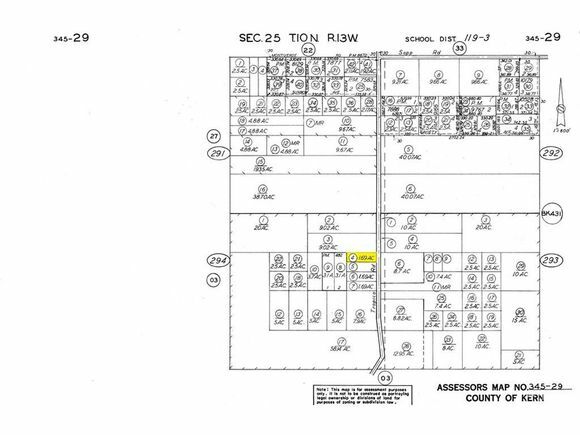 Subject property has frontage on paved Mojave Tropico Rd. and Bright Ave.Plenty of privacy, Property is flat and zoned for residential use. Amazing views in every direction. Excellent land value. Electric lines run to the house adjacent to the parcel on the East side. Mojave Airport is about 10 miles away. Several homes nearby.Excellent location, with lots of space and privacy. The property has access from the main paved road. Listing courtesy of CARETS, Rich Estate Props, and Richard Khatibi.